This 12th Century Knights Templar Castle has been transformed into a fabulous 5* hotel with stunning panoramic views over the French Côte d’Azur and truly luxurious facilities to ensure guests a very relaxing and invigorating stay. 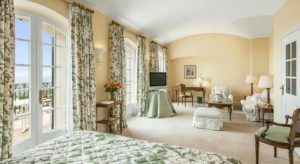 The Château Saint-Martin perfectly combines exquisite rooms, premium spa facilities and fine dining. 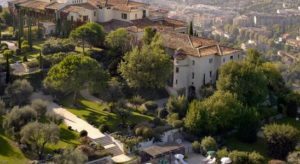 The Château Saint-Martin & Spa is located in a picturesque setting at the heart of the Provence countryside overlooking the historical village of Vence. The property is built within 32 acres of verdant gardens, which offer charming panoramic views over their surroundings. 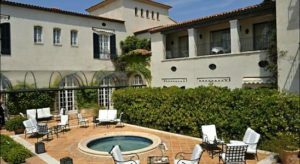 Nice and Cannes are both around 40 minutes by car from the Château, and Monaco and Fréjus can also be reached in less than an hour. Sainte-Maxime and Saint-Tropez are both in the region of an hour and a half’s drive. The Château offers an impressive range of 5* facilities. The gorgeous outdoor swimming pool with its terrace and olive trees is the perfect place to relax. The spa offers a wide range of treatments as well as a sauna, steam room and a fitness centre. 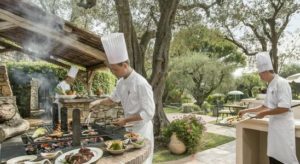 The hotel has two restaurants on site, the gourmet Le Saint-Martin and the summer restaurant l’Oliveraie, both under the supervision of Chef Jean-Luc Lefrançois. There is also a bar to enjoy afternoon tea or evening cocktails on the French Côte d’Azur. All rooms are decorated with taste and boast refined, sumptuous interiors. They perfectly combine historic character and contemporary design. All rooms have en-suite marble bathrooms, a king size or twin beds, lovely views, climate control, as well as complimentary toiletries and slippers. The Junior Superior Suites and the Honeymoon Duplex Suite have balconies and the Junior Deluxe Suite and the One Bedroom Suite offer private terraces.